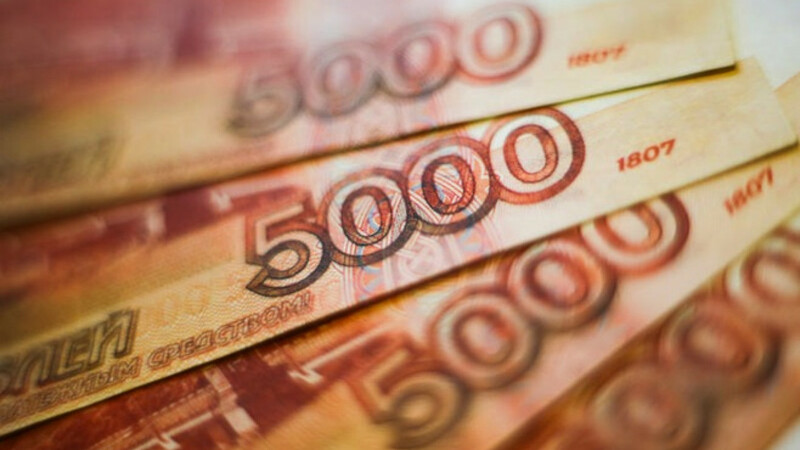 Russian 5000-ruble banknotes are seen on a table at a bank in Moscow. The ruble reversed early gains on Monday after the Central Bank said it was raising the rate at which it lends foreign currency to banks through repo auctions, its second such move this month. 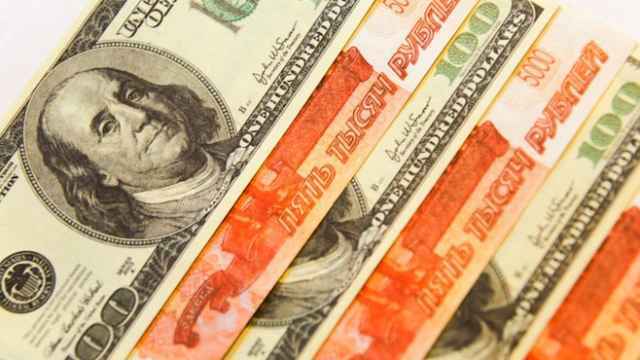 At 4:05 p.m., the ruble was around 3.4 percent weaker against the dollar at 53.66 after opening some 0.9 percent higher. The ruble also was down 2.9 percent to trade at 57.70 versus the euro. The Central Bank said it was increasing its rate for the one-year repo to LIBOR plus 2.5 percentage points and to LIBOR plus 2.0 percentage points for seven-day and 28-day repos. In early April, the Central Bank increased the spread over LIBOR to 1.75 percentage points for one-year repos and 1.5 percentage points for seven-day and 28-day auctions. "I guess the message here is that the Central Bank is uncomfortable with ruble strength now, and needs the currency to have a softening bias to try to help the real economy," Timothy Ash, chief emerging markets analyst at Standard Bank in London, said in a note. Despite the fall on Monday, the ruble was some 10 percent stronger against the dollar than at the beginning of the month. Central Bank First Deputy Governor Ksenia Yudayeva wrote in a newspaper on Monday that the ruble rate would most likely fluctuate in the medium term, but if there were no big changes to oil prices or sanctions against Russia, the rate should be stable around its current levels. 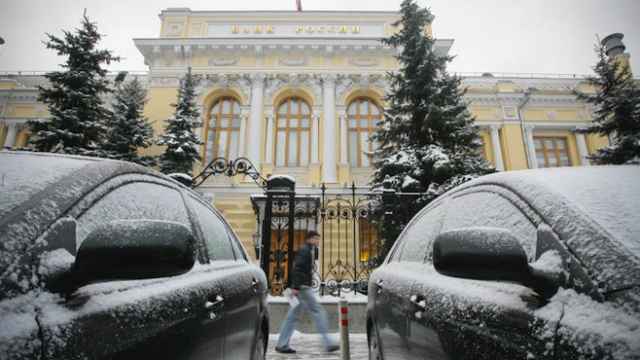 Analysts say that such verbal interventions, which follow comments from Central Bank Governor Elvira Nabiullina late last week that the ruble had found its equilibrium, could keep the currency from firming further. Market players also say they are increasingly convinced that the Central Bank will cut its key rate at the next policy meeting on April 30, which could dampen profit prospects from carry trade operations. The bank's key rate, the one-week repo rate, stands at 14 percent. 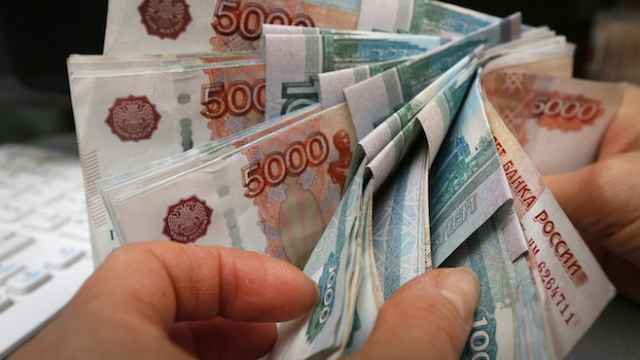 "Thus, there are reasons to believe the coming week, the ruble/dollar pair will demonstrate some fluctuation within the range of 49.00-53.87 [rubles per dollar]," Irina Rogova, an analyst at Forex Club investment firm, wrote in a note. Some analysts said the ruble's recent rise went too far. "After the recent rally, the ruble has already appreciated beyond the fundamentally justified levels," analysts at Rosbank wrote in a note. Rosbank sees the ruble trading between 69-62 rubles per dollar in the medium term. Russian shares were mixed on Monday. The ruble-traded MICEX was up 0.9 percent to 1,671 points, while the dollar-denominated RTS lost 0.2 percent to 997 points.